Lane's End Vineyard was originally planted in the mid 1980's. 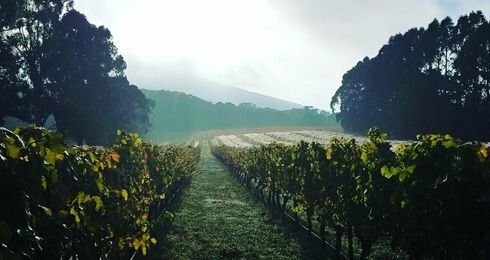 Lanes End Vineyard is at the end of a winding country road, a hidden treasure at the foot of Mount William near Lancefield in the Macedon Ranges in Victoria, Australia. Located at 580 metres above sea level on the southern slopes of the Great Divide, the vineyard is perfectly suited for the growing of Chardonnay and Pinot Noir.